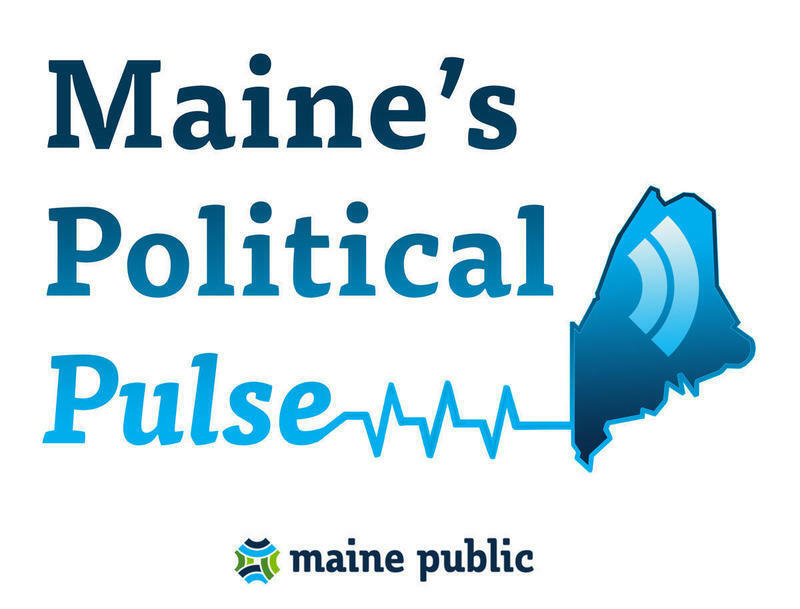 It's time once again for Maine’s Political Pulse. Every Friday Morning, Steve Mistler and Mal Leary join Morning Edition host Irwin Gratz to share their insights on the people and events driving politics. Driving politics this week: the voters. They chose Maine's first woman district attorney and first woman attorney general, Janet Mills, to become the state's first woman governor. And, as Steve Mistler noted, she won convincingly. Driving the politics this week: the voters. They chose a new governor, Democrat Janet Mills. And, Steve Mistler, Mills won convincingly. MISTLER: She might be the first governor to crest that 50 percent threshold since Angus King did it in 1998. I mean, before it's always been plurality winners, and this time it looks like a majority winner, which is really interesting because there was no ranked-choice voting in this race, as we all know. How she did it? That's a good question. I think a lot of it was driven by the national politics of the day, which were favoring progressive candidates all across the country; and certainly in the State House races here, sort of a repudiation, in some cases, of the president. And in this case there might have been just an eagerness to turn the page, as Janet Mills would say. LEARY: And I don't think you can downplay the incredible effort by the Democrats to get absentee ballots out - they turned out something on the order of 35,000 more Democrats to vote absentee than the Republicans did. So, I think that was a crucial factor. But I also think, as Steve said - I'm not sure I would use the word “progressive” - I would use the word “Democratic.” Democrats turned out, and in a lot of cases they weren't necessarily progressive Democrats, and when you look at places like the St. John Valley or in Farmington, where she's [Mills] from, or Lewiston. So I think the Democrats did a better job of turning their voters out. Their voters were more energized than the Republican voters. It seemed like such a low-key campaign. Do we have any idea what issue drove voters? MISTLER: Yeah I think it was a couple of things. Health care was a big one. I mean, Janet Mills was talking about that repeatedly and she's since announced that that will be job one - Medicaid expansion - after she's sworn in in January. She also talked about renewable energy. I don't know if that was a thing that drove people to the polls, necessarily, but it's something she's going to be doing going forward. This will make the first time since Paul LePage was swept into office in 2010 that we've had legislative and executive branches controlled by the same party. What was the GOP’s experience like back then and what does that portend for the Democrats? MISTLER: Republicans came in and they were just - first of all, I think they were also frankly surprised at the level of majorities that they were able to get in the state Legislature. I mean they were in the dark here for a very long time. They were aggressive on some fronts because they were following Gov. LePage, who was beginning his first term. But they also sort of held back on some things, like in terms of right-to-work legislation. They were really reluctant to push that policy out that particular year because I think they were afraid that that was going to come back on them in two years when the next legislative elections were held. I don't know how Democrats will take this very same opportunity where they have also very strong majorities. LEARY: The other thing you have to remember is it doesn't do any good in a legislative process to simply have the majority. You got to have some Republican votes for the biggest policy issue - the budget - and usually the budget includes more than just funding of state government; it includes the major policy initiatives of the governor. The other big political story to emerge from Tuesday's election was the 2nd Congressional District race. Neither Republican incumbent Bruce Poliquin, nor Democratic challenger Jared Golden crossed the 50 percent threshold. In fact, they remain neck-and-neck in the actual vote count. Two independents, Will Hoar and Tiffany Bond, drew off about 8 percent of the vote between them, all of which means ranked-choice voting is being invoked in that race - the first time it's happened in a U.S. House race. Mal, what is actually going to happen now? LEARY: Well, the secretary of state says they will, once they have the unofficial tallies completed, then you will see a move towards bringing all the ballots in to do ranked-choice voting. I will note with interest the press release that I got just a few minutes ago from Bruce Poliquin’s campaign, where they're claiming that on Election Day they actually won the plurality of the vote by some 2,000 votes, and went on to say Maine has a long history of electing its members of Congress by plurality. Now that's a pretty thinly-veiled threat that says when they implement ranked-choice voting, if Jared Golden wins under ranked-choice voting, this thing is going to go to court. And it may take weeks, if not months, to determine who Maine's 2nd Congressional District representative is. Finally let's talk a little bit about the outgoing governor, Paul LePage. He's going to be remembered for governing - how shall we say this? - differently. He spoke his mind sometimes with words that even he would concede later got him in trouble. He played political hardball with members of both parties, and vetoed more legislation than all of his predecessors combined. So the question that lingers as Janet Mills prepares to enter the Blaine House is will the political atmosphere actually go back to what it was before LePage or will he leave a more permanent mark on Maine politics and government? What do you think? MISTLER: The conventional wisdom is that Janet Mills will be a more traditional governor. She'll be accessible to the press, she’ll govern maybe more collaboratively with the Legislature, where LePage did not do that, for the most part. But you have to wonder: Does he leave a mark, or does he just sort of go away after eight years, and just become a historical blip? That's a great question and I don't pretend to have the answers yet. LEARY: And I don't think we can answer that until we see what the Republicans do who have been elected to this new Legislature. I mean, if they want to be obstructionists - as I pointed out it's going to take a two-thirds vote to pass a budget - they can be obstructionists. They can dig in their heels. They can cause a lot of problems. But Paul LePage, I really think, was unique. We'll be back to talk more about the potential new administration in the weeks ahead. Mal, Steve ,thank you both very much.